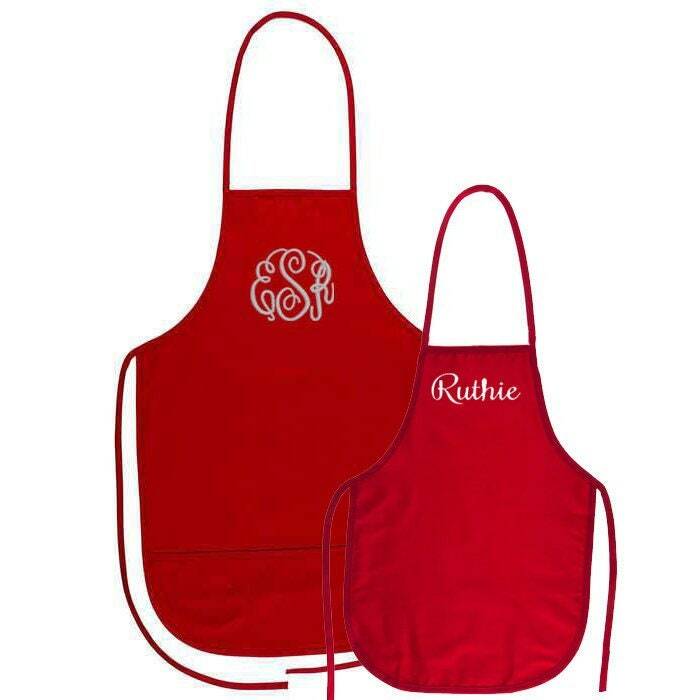 These beautiful Mommy and Me aprons make a great gift for mom's or grandma's who love cooking or baking with little ones. Also perfect for protecting clothes while painting and crafting. On average, this apron fits 2-7 year old children. Naturally, it depends on the size of the child. 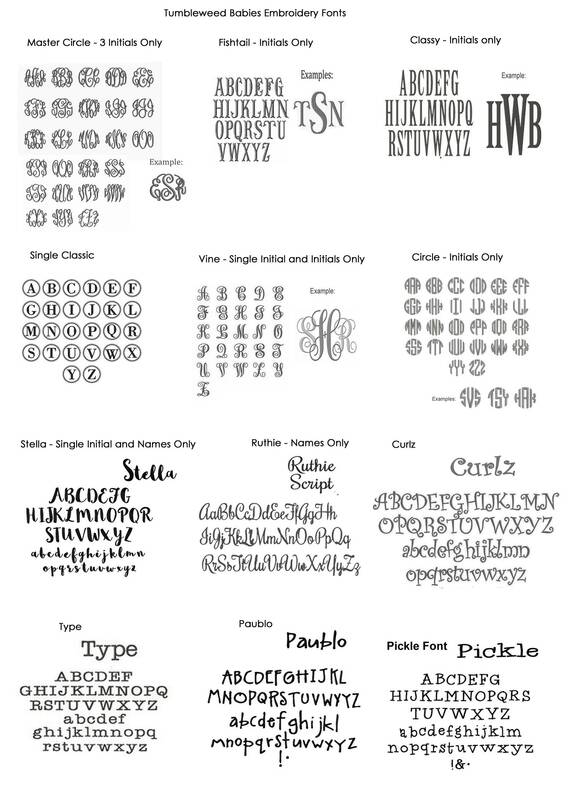 I offer gorgeous monogram embroidery choices for the aprons. 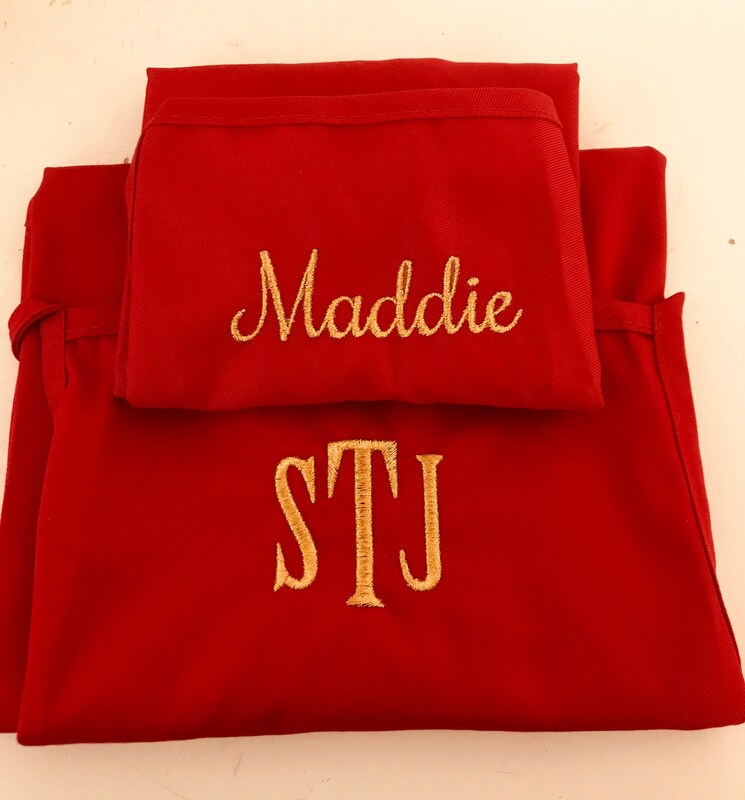 Please be sure to let me know in the "note to seller" section during checkout your name or initials. Please specify which info goes with the adult apron and which goes with the child apron.